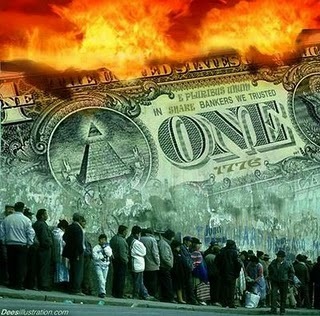 Signs Of Next Banking System Collapse Surround Us! In the story linked to at the top of the Drudge Report this morning, we see that Barack Obama has a dire warning for graduates of Howard University; profound changes lie ahead for our society and economy. Have we not already been witnessing 'profound changes' in the past 8 years of the intentional destruction of America under the Obama regime? Obama also argues that America is a better place than it was when he (allegedly) graduated back in 1983 from Columbia University and better off now than when he took office..."but that's a longer story". If what we've been witnessing so far under Obama (as outlined in the stories and videos linked below of only RECENT financial stories) ISN'T 'profound change', we shudder to think what Mr. Obama REALLY means by the 'profound change' he recently warned of that lies ahead. A look all across the alternative media will give us a glimpse of what Obama likely really is referring to. In fact, as we learn below, the Federal Reserve may have just signaled the next banking system collapse. The six headlines linked to on the top of the Drudge Report Friday help to tell us what the mainstream media continues to ignore while pushing lies of false recovery, from +160,000 new jobs created in April which was the fewest in 7 months with 94,044,000 Americans STILL not participating while AT LEAST 25,460,000 foreigners ARE working here in the country. We're also told that economic growth has slowed sharply with even JCPenney recently taking emergency measures to stay afloat. Are all of these 'signs of recovery' or more signs of the 'profound change' that Mr. Obama warns of coming? An even more disturbing set of numbers comes to us from Zero Hedge where we learn that prime aged workers (those between 25 and 54) has tumbled by 280,000 jobs while workers 55 and over has surged to new, all-time highs, proving that Americans are unable to retire even well into their 50's. 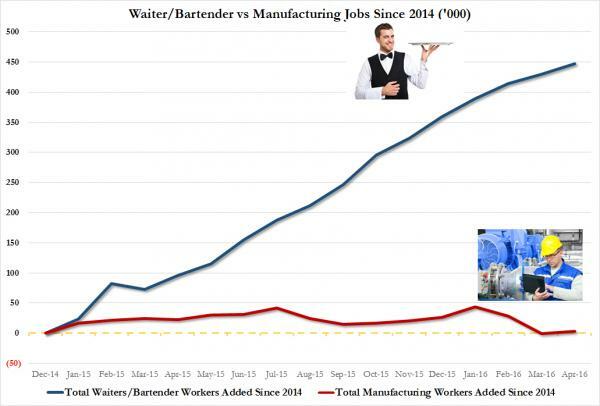 Meanwhile, more disturbing numbers show that since 2014, the US has added 450,000 jobs...in the service field of waiters/waitresses/bartenders...while during the same period of time, NO manufacturing jobs have been added as seen in the graphic below. 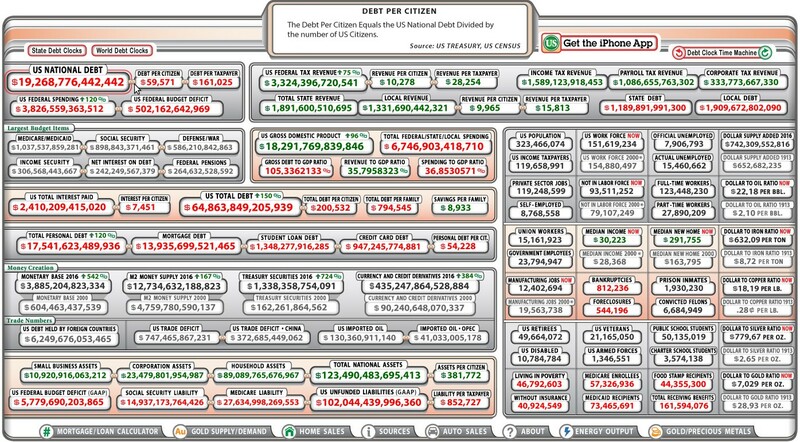 As we see in the screenshot of the US Debt Clock below, our nation is now more than $19 TRILLION dollars in debt, an average of $59,000+ per each US citizen and over $160,000 per each taxpayer. If China or our other creditors suddenly came calling, would you have that $160,000 to immediately hand over to them for the poor decisions government continues to make in your name? Are YOU better off now than you were in 1983 or prior to Obama taking office? As Peter Schiff argues in the 1st video below, it's time that China and other US creditor's 'take a haircut' because the likelihood of the US EVER paying all of this debt back is slim to none and slim already slipped out the back window. Schiff tells us that Trump is absolutely correct about debt and that other nations, our creditors, are going to have to quickly come to grips with the fact that they'll never be repaid all the money that they are owed. We also see in the 3rd video below from Gary Franchi and the Next News Network that the US government is once again investing American tax dollars in a way that most Americans likely won't approve of, to create a monument to homosexuals as outlined more below. As we learn in the following stories from Wolf Street and The Economic Collapse Blog, what Obama likely knows that the masses of Americans still don't know, particularly the 'millenials', is that the US economy is grinding to a hault. Wolf Richter told us just days ago that freight rail traffic has plunged, down 11.8% in April from a year ago with cars of commodities carrying such items as oil, grains, coal and chemicals plummeting by 16.1%. One of the signs of that collapse are the 292 Union Pacific engines that simply idled in the Arizona desert, doing nothing. As Michael Snyder also tells us, the next employment crisis is also here with job cuts at US companies jumping 35% in April. With even the Economist magazine, a mouthpiece for the 'new world order', warning of 'terrible news' for America and the world if Donald Trump is elected president of the US we have to ask, what do they know that we don't know? Is the 'new world order' that has been working so hard to destroy our country's sovereignty preparing to do the final leg-work necessary to 'bring us down'? We'd venture a bet that most Americans, particularly our military and law enforcement, won't be too happy knowing that the globalists may be preparing to collapse us. A forest fire is raging all over the world. The world is burning up and yet the mainstream media touts a so-called ‘economic recovery. 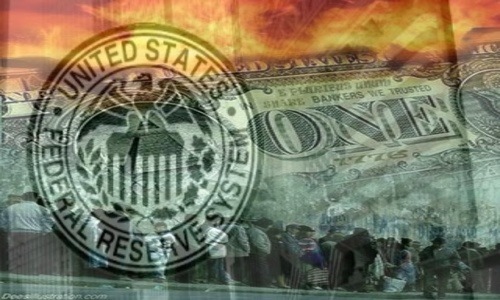 In the 2nd video below we learn more about how the Federal Reserve may have just given the latest huge signal that the next financial collapse is soon ahead of us as also shared in this recent story from Dave Kranzler. Telling us that 'like a mafia boss' protecting his 'family' the FED is implementing another layer of protection for the 'too big to fail' banks from collapsing, we're told this latest 'deal' will prevent bank counter-parties from pulling their own collateral from a bank that is collapsing. Is this another sign we're approaching 'the end'? While no one knows the time nor the day, it's clearly in our best interests to prepare for that moment in time. While the government investing Americans tax dollars wisely is always in the best interest of a country, as Gary Franchi of the Next News Network tells us in the final video below, Barack Obama is busy using taxpayer dollars to build a monument to homosexuality. Is this what you want your taxpayer money spent on here in America? It's clear that America is ready for a change and equally clear that Hillary Clinton won't bring it as Obama's 3rd term, at least not the kind of change that most Americans want. Is Hillary clearly so out of touch that her campaign has quite literally put out a pro-Trump ad as shared in this story from Susan Duclos? How could someone as out of touch as Hillary help stop the 'economic freefall' America is now in? As we've reported several times on ANP and has been warned of recently by others within alternative media, a total economic collapse prior to the election could be used to call it off or postpone it...are we ready to put that past the NWO who will do anything to hold on to their power and their dreams of a 'new world order'?